Remember those secretive vans that were spotted driving around the country for quite a few months now? 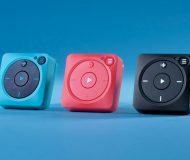 It’s been previously confirmed that the vehicles were registered to a third-party commissioned by Apple, prompting all kinds of speculative remarks. 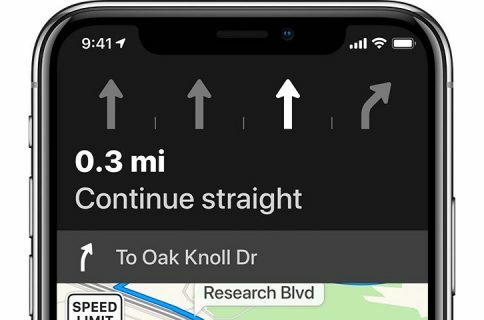 Wednesday, Apple put an end to speculation by publishing a new section on its webpage dedicated to Apple Maps which confirms that the vehicles are collecting data for future Apple Maps updates. Not only would collected data improve the accuracy of Apple’s mapping service, but the wording clearly implies that a Google Street View-like feature is in tow for Apple Maps. 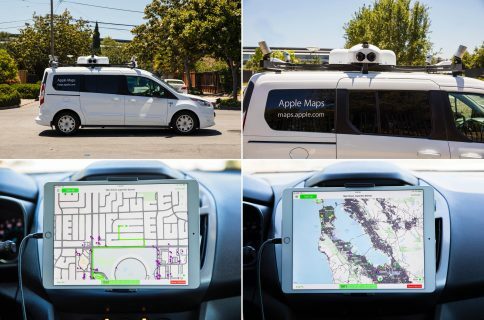 “Apple is driving vehicles around the world to collect data which will be used to improve Apple Maps. Some of this data will be published in future Apple Maps updates,“ states the firm. The vans will cruise major cities in the United States, England and Ireland between June 15 and June 30. “Any personal information collected in a member state of the European Economic Area (EEA) and Switzerland is controlled by Apple Distribution International in Ireland,” reads the webpage. Now that we know that the vehicles are actually snapping up street-level photography and that the collected images with blurred out faces and license plates will actually be published, we can only speculate as to what kind of features Apple Maps may get in the not-so-distant future. One obvious answer is a feature that would let you tour city streets in a 360-degree panorama view, much like Google’s Street View shown below. There’s a rumor flying around that Apple Maps could be coming to the web so anyone could use the service in a browser. 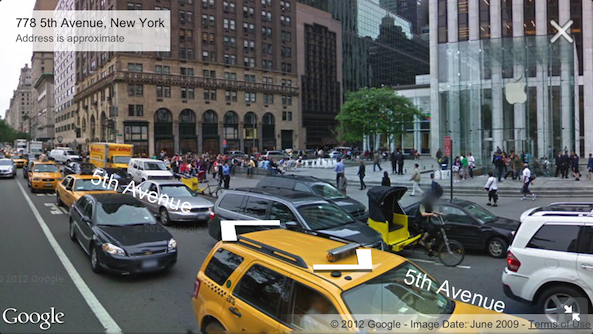 Therefore, having a Street View feature of sorts would certain go a long way toward competing with Google on that front. Another possibility: the images could be used to improve the quality of three-dimensional Flyover views. 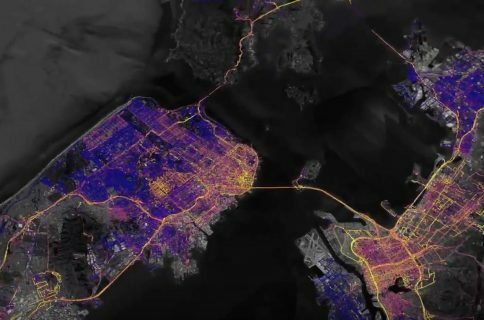 To enable 3D Maps, Apple in past few years has snapped up a few startups and is operating a fleet of planes that photograph important landmarks and major cities from all angles. Smart technology then analyzes the images to create a 3D Flyover view that can be rotated and panned around. While Flyovers look nice, the textures on buildings tend to fall apart when you zoom in on them close enough. If Apple is augmenting existing Flyover data with street-level imagery then a higher-quality Flyover feature could in fact be in the works. Yet another possibility suggests the images might be used as a depiction of your destination when navigating in Apple Maps. 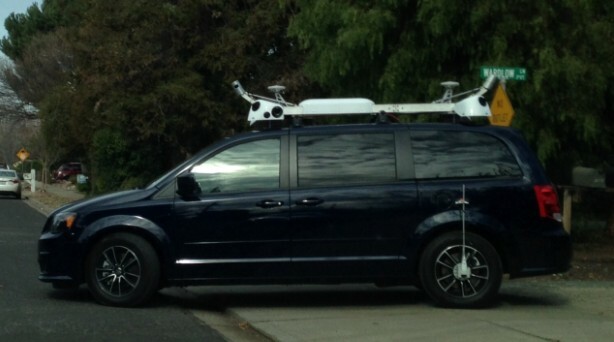 We won’t know for sure until Apple updates Maps with this data, but at least we now know what these vans are for.